I have been hiding something from you, friends. Something orangey, sweet, very tart, and dangerously addictive. It is truly a sin that I didn’t share this recipe a week before Thanksgiving, so that you could have whipped it up to sit cozy alongside your turkey and root vegetables. Instead, time has escaped me. Part of it is the holiday season, and part of it was me being too occupied sneaking spoonfuls of this sweet-sour magenta crack. Open the fridge. Spoonful. Close the fridge. Maybe just one more spoonful? This recipe takes all of 2 minutes if you have a Vitamix, and all of 5 minutes if you have a food processor. The Vitamix produces more of a puree (Vitamix version pictured here), while the food processor allows for a textured relish. Both will lure you into their jars at all hours. 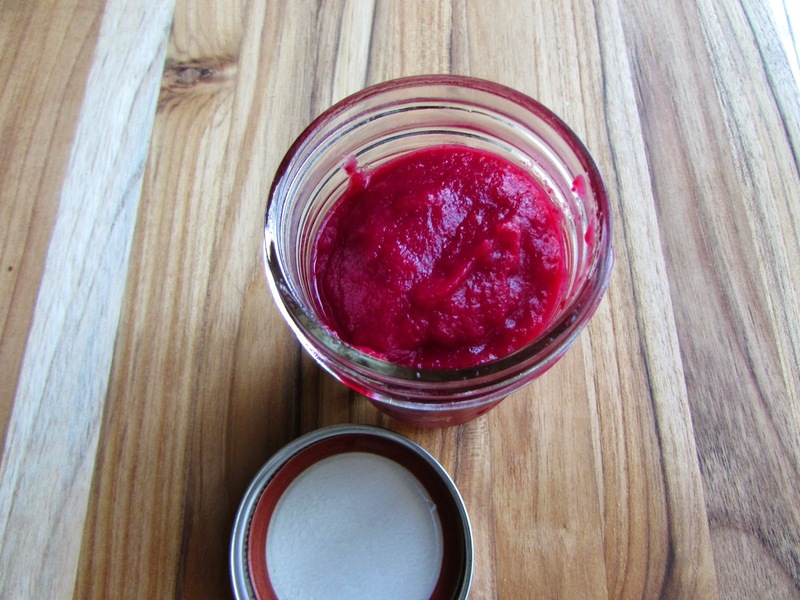 All you need are 3 ingredients: cranberries, an orange, and honey or agave. Plop them all in your machine of choice, and whiz away. There are only a few minutes between you and cranberry la-la land. I’ve been using this relish on errrrything: mixed with yogurt, plopped on salads, accompanying pumpkin pie, blobbed on sweet potatoes, and of course, with my Thanksgiving leftovers. I forgot to bring this home to my parent’s house for Thanksgiving, so I even whipped up a batch there and stuffed the leftovers in the freezer for eating with Christmas dinner. Yes, this relish is that necessary. 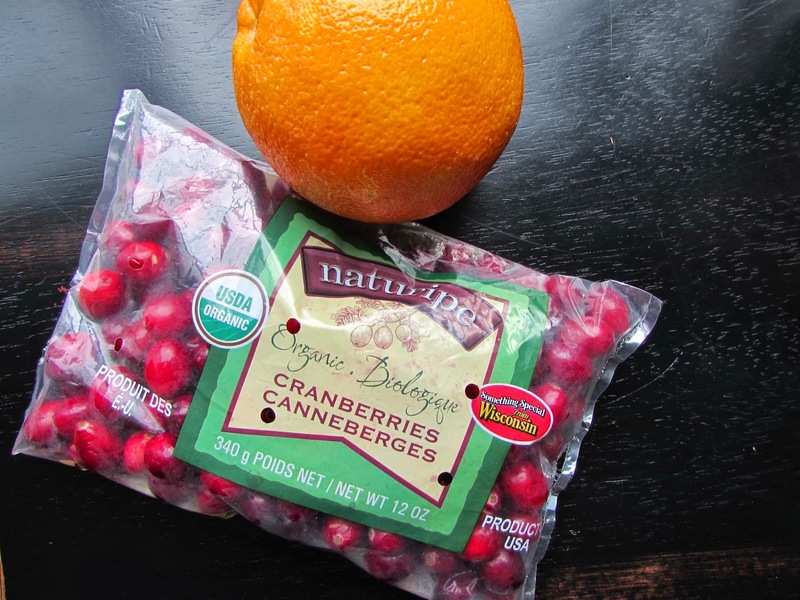 Wash cranberries and orange. If using a food processor, chop the orange into 1 inch pieces. If using a high-speed blender, you can leave it whole. Place all ingredients in a high-speed blender or food processor. Blitz until combined. 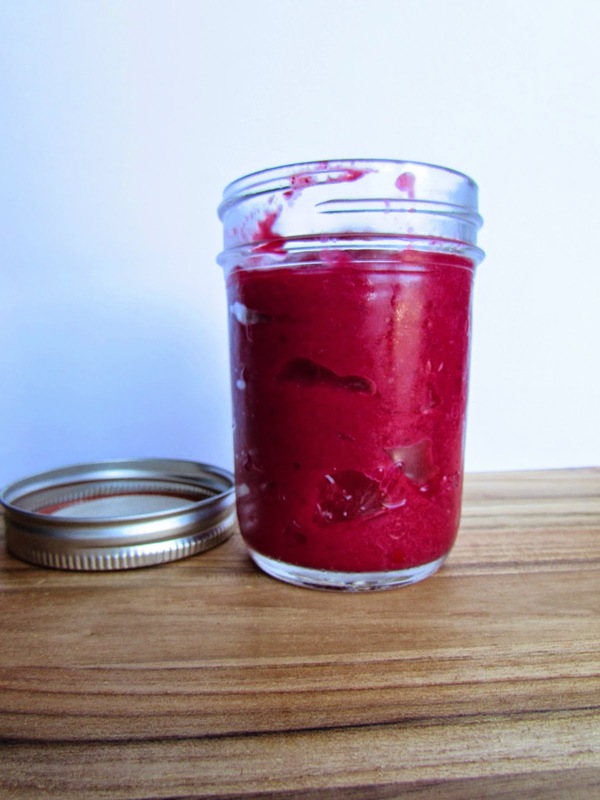 A food processor will leave you with a chunkier relish, while a high-speed blender will produce a puree. If using a blender, you may want to use the tamper to push the orange into the blades. Enjoy! Note: 1) I have used both agave and honey with success. 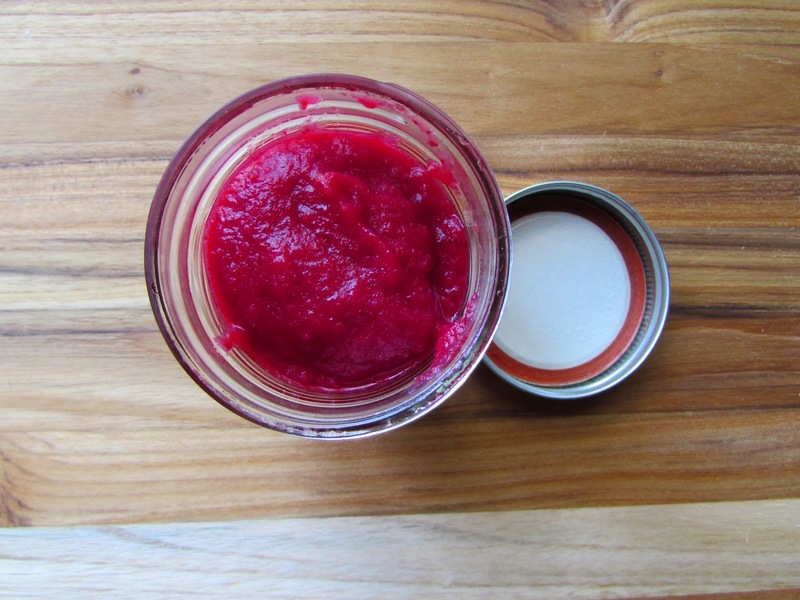 Using 1/4 cup sweetener may not be enough for some folks- it produces a very tangy relish. If you like it sweeter, try 1/3 cup agave/honey. 2) Try to use organic produce for this recipe, as you are eating the whole orange (you are eating the peel!) and whole cranberries. 3) My Aunt Mary (who, along with my Aunt Mina, inspired this recipe) says she also includes a pear and apple. I imagine this adds a nice, natural sweetness.